Are you are a parent or an educator new to the special education process implemented in ND schools? This webinar will provide participants with an overview of the basic steps in the special education process from referral to IEP review. 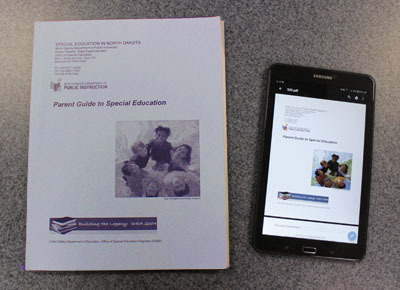 Information used in the development of this webinar originates from the ND Department of Public Instruction, Office of Special Education, guidance document "Parent Guide to Special Education" and information from the Center for Parent Information and Resources/CPIR.